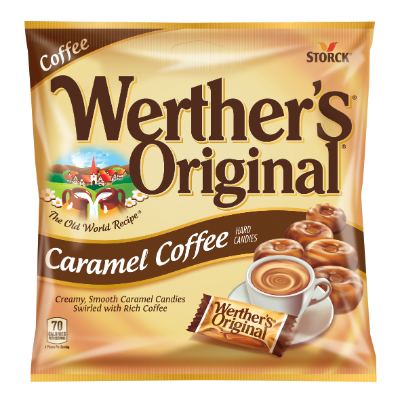 Creamy, smooth, caramel candies swirled with rich coffee. 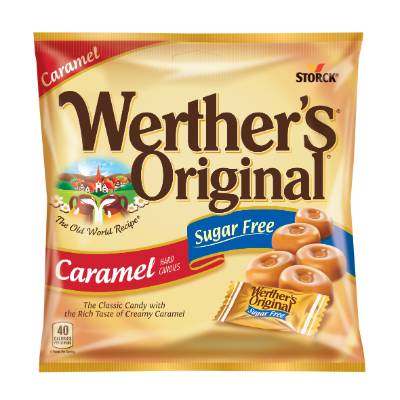 Classic hard caramel candy with creamy caramel filling. 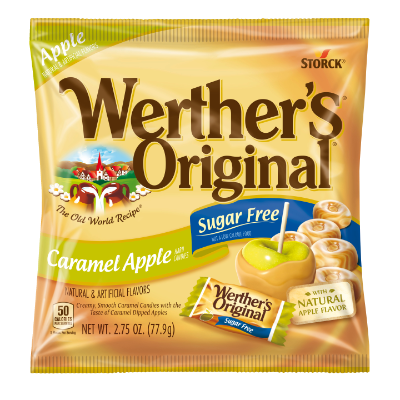 Classic hard caramel candy with creamy apple filling. 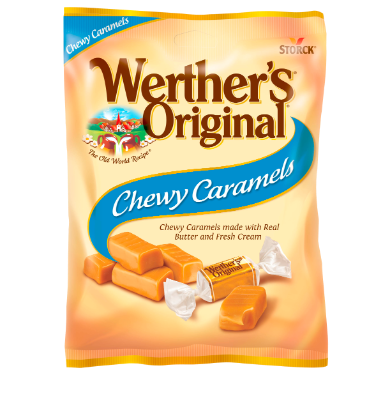 Chewy Caramels made with real butter and fresh cream. 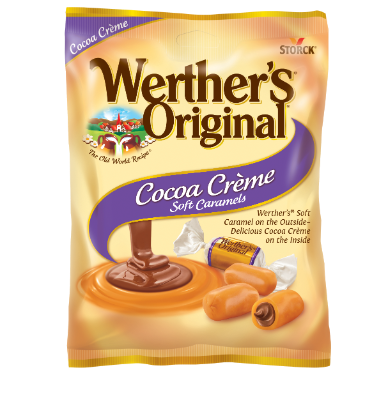 Soft and creamy caramels made with real butter and fresh cream. 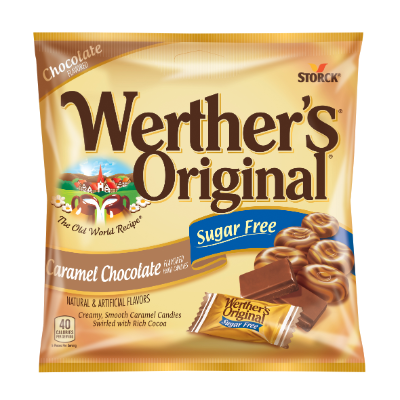 Werther’s Soft Caramel on the outside, delicious cocoa crème on the inside. 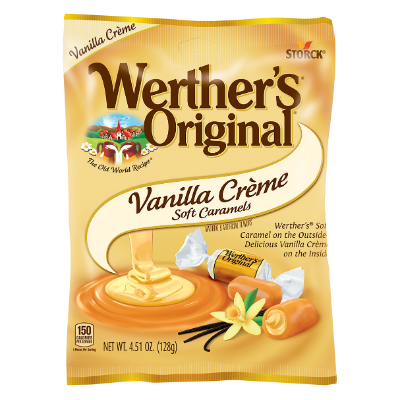 Delicious vanilla crème wrapped in soft caramel - a caramel indulgence like no other! 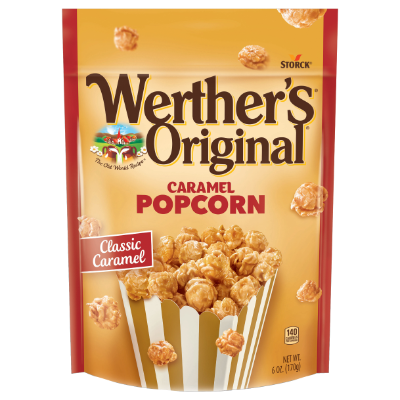 Perfectly popped corn wrapped with rich and creamy Werther’s Original Caramel. Perfectly popped corn mixed with sea salt and pretzels, wrapped with Werther’s Original Caramel. 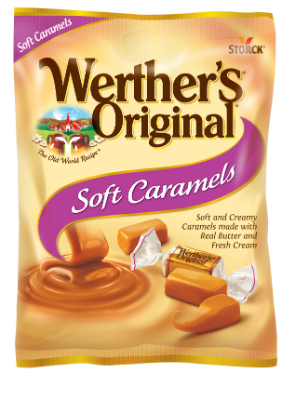 The classic candy with the rich taste of creamy caramel. 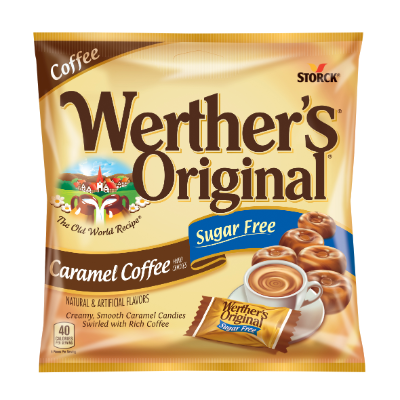 Creamy, Smooth Caramel Candies Swirled with Rich Coffee. 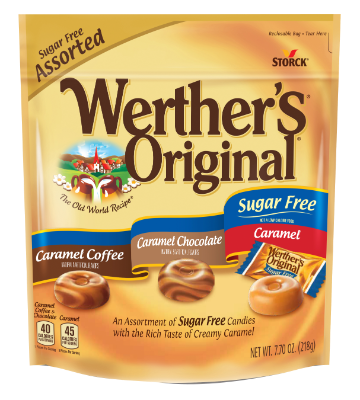 Creamy, Smooth Caramel Candies swirled with Rich Cocoa. 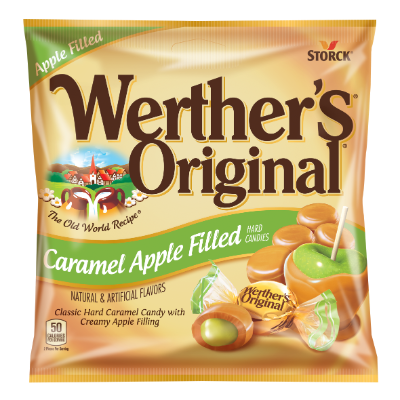 Creamy, smooth caramel candies with the taste of caramel dipped apples. 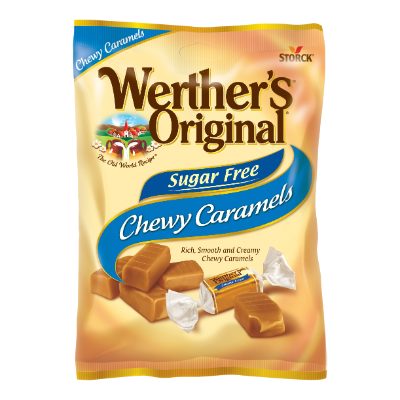 The perfect mix of Werther’s Original Sugar Free hard candies - Creamy Caramel, Caramel Coffee & Caramel Mint. 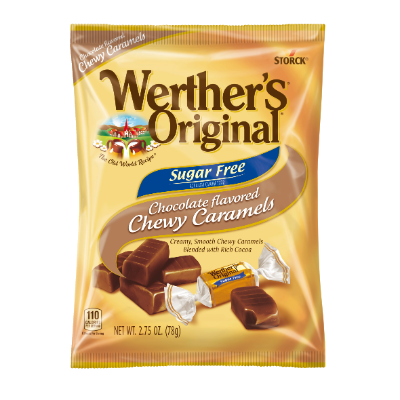 Rich, Smooth and Creamy Chewy Caramels. 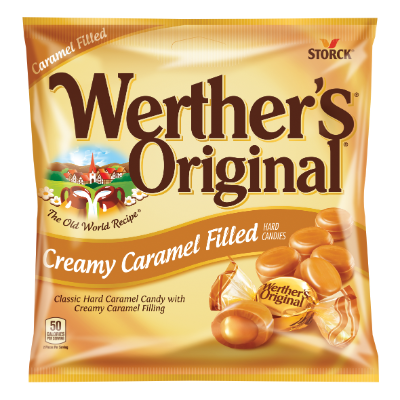 Creamy, Smooth Chewy Caramels Blended with Rich Cocoa.